Welcome to Avonwolf Kennels. This website is about my breeding program, dog sport and more in depth information about the working line Belgian Malinois. I, Ursi, breed KC Malinois. All my dogs are KC registered, imports or studs used are FCI registered dogs going by the breed standard. Having worked with dogs all my life, I started dog sport at the age of 12 and have helped train several different breeds. At the age of 14 I was already Assistent trainer at my local dog club! 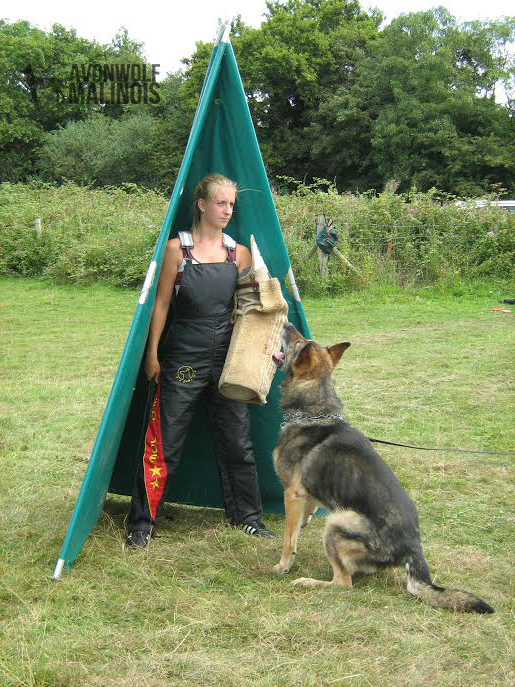 Beginning with agility, I progressed through many different clubs and sports until I ended up doing IPO and Working Trials where I now train with all kinds of working breeds but mainly Malis, GSD, Rott’s and Dobies. 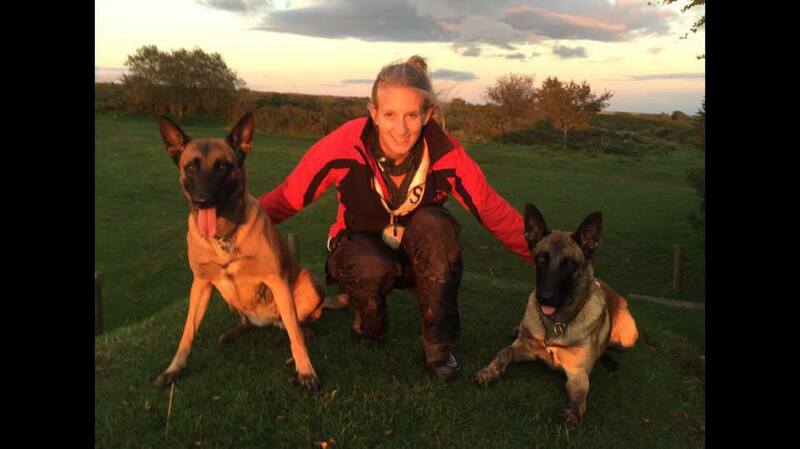 The Malinois was always my favourite breed but I believe these high energy and hard working dogs need owners with exactly the right lifestyle and surroundings. Once I decided I wanted my own Mali it took me 8 years to reach the point in my life where I felt I could give these amazing dogs the kind of home they deserve. I have made my hobby to a way of living! Whilst I train my own dogs I am also having dogs in for training, issue dogs with aggression issues or sport dogs to get perfection out of them. One to one sessions are regular and home visits are part of it too. On Sundays I train at my local IPO club where I am head trainer and helper. The club is called Avon Dogs Sports Group and is part of the GSDL. In 2018 I represented Great Britain in the IPO All Breed World Championships in Italy with Keith. To be honest i don’t know of any good/read worthy books about the Mali. My advise would be to see as many Malis as you can in real, watch them at work and ask questions to their owners. That is the only way to get to know the breed and see what they are like. With Malis it is very extremly different lines will be different dogs. So a lot of research is required to find the right dog for your personality. I’m 18 years old and I’ve wanted to buy a Bel Mal puppy for some time now, I live with my family and live in a flat in the city, I’ve never owned a dog and have no experience on training a dog. However, I have done my research on the breed and I know that they require a lot of attention and training but I want to know what they are like indoors and what the consequences are if they are left alone for roughly 5 hours a day as I will be going to university. I’m afraid your living situation is far from ideal for a Malinois. Not only do you need experience with dogs to own such a high drive dog but also are they very unsuited in a flat. I appreciate you asking before rushing into anything. What I can offer you is to come and see my dogs, you can see for yourself what it takes to own such an animal. Maybe one day you will have a better living situation to own one yourself. Hi I’m really interested in getting my first Malinois I’ve kept dogs all my and think this is the breed for me. I’m looking for really good working bloodlines and wondering if u could help and tell me what kind of price I should be paying for good blood. Thanks. Good luck with the new pups, due very soon.